What, however, should be of serious worry to Nigerians is the surreptitious attempt to internationalize what is essentially a domestic electoral matter. The perception of tension about the election has provided an opportunity for the so-called ‘International Community’ to wade in, as the ultimate umpire. The nations which constitute themselves as the ‘international community’ , led by U.S., UK, France, have now taken centre-stage in the country’s electoral process, as superintendents. It is a national disgrace that some politicians, political partisans and non-governmental organizations actually called for the intervention of the ‘international community’ . This is myopic in geo-political consideration. 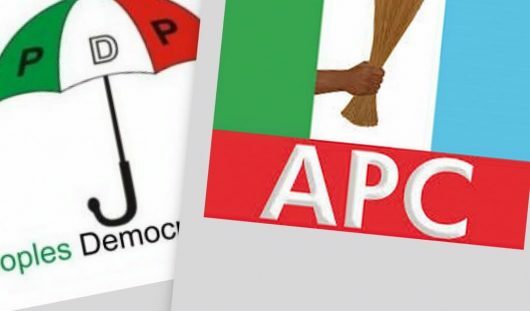 But what is most galling is that leading presidential candidates, including President Muhammadu Buhari and a rather reluctant Atiku Abubakar, were made to sign an undertaking, brokered by the U.S., to ensure peace before, during and after the election. The implications of this are that Nigerian politicians needed the big stick to compel decorous political conduct and also implied acceptance of the election result, as certified by the ‘international community’. This undertaking, apart from being a surrender of Nigeria’s sovereign authority to organize its elections, may turn out a booby trap. It is a repeat of the strategy used by the same ‘international community’ in the disputation of the 2010 presidential election in Ivory Coast, in which it backed the opposition candidate Alassane Quattara. The UN Representative in Ivory Coast assumed, on behalf of the ‘international community’, the authority to validate the 2010 presidential election result in favour of Quattara. In the ensuing conflict, UN and French troops in support of Quattara, got President Laurent Gbagbo captured and sent for trial at the International Criminal Court (ICC) at The Hague, Netherlands on allegations of crimes against humanity where he has remained in detention for over eight years now. Just as President Buhari has done, President Gbagbo had similarly and naively signed an accord under the auspices of the ‘international community’ to be of good conduct with regards to the election outcome. The ex-President Olusegun Obasanjo electoral intervention creates two possible scenarios. Gen. Obasanjo, who has joined the fray on behalf of Atiku Abubakar, and who solicited the intervention of the ‘international community’, could either be working toward the Ivory Coast model or Egypt’s model where presidential election crisis fueled by the Arab Spring uprising, truncated democracy and led to a return of the military, with U.S. support. Under this scenario, Gen. Obasanjo, backed by the ‘international community’ in the event of violent election dispute, could neutralize both President Buhari and Atiku and either achieve his third term agenda or be the king maker of a military regime. The two leading presidential candidates need to be wary of Obasanjo, given his legendary self interest in all matters. The way he is virulently vicious in his attacks against President Buhari, even more than candidate Atiku, smacks of agent provocateur and signposts a hidden agenda. Just like France led the ‘international community’ takeover of Ivory Coast, its former colony, Britain is also positioning itself to lead the ‘international community’ on Nigeria, its former colony. It is the return of the colonialists. The statement by the British High Commission, Abuja that “any attempts” at electoral violations reported by its election monitors, will have consequences and may “lead to prosecution under international law’’, amounts to imperial arrogance and a Nigeria put down. The Nigerian political class has brought this odium on the nation by beggarly seeking assistance for virtually every aspect of governance, including donor support for elections, which Prof. Bayo Olukoshi described as ‘donorisation’ of elections in Africa. The British High Commission statement had cheekily rubbed this donor largesse in – “ We continue to provide significant support to Nigeria’s Independent National Electoral Commission and to Nigerian civil society’’. It is a shame that members of the Nigerian political class lack a sense of national dignity. The nation needs a patriotic intellectual vanguard to articulate a new Nigeria vision that would rid the political arena of electoral merchants and brutes so as to achieve electoral sanity and restore national pride. Dr. Bisi Olawunmi, a former Washington Correspondent of the News Agency of Nigeria (NAN) and Fellow of the Nigerian Guild of Editors teaches Mass Communication in a university in Southwest Nigeria.